Bushmen girls playing with water from the Mothomelo borehole on the Central Kalahari Game Reserve, Botswana. 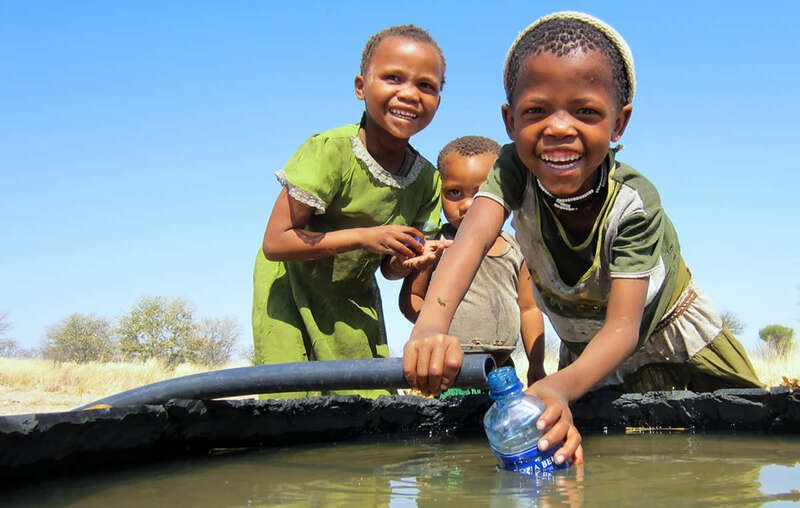 Survival International has been speaking to Bushmen from the Central Kalahari Game Reserve as they celebrate drinking water from the Mothomelo borehole for the first time in nine years. It marks a significant step towards their full return to their ancestral lands following a landmark court ruling in 2006. Despite winning Botswana’s longest running court case over four years ago, the Bushmen’s fundamental right to water was only recognized this January by Botswana’s appeal court. Now, with the help of the NGO Vox United, the Mothomelo borehole or well has been re-drilled and a solar pump installed. 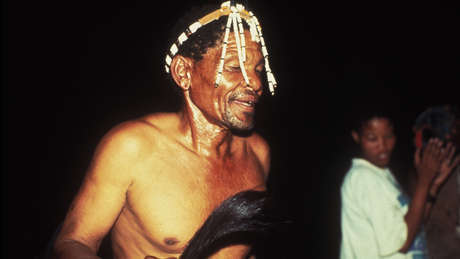 Bushmen are already returning to the area and have been bathing in the water. It is their first opportunity to use the borehole since 2002, when it was capped by the Botswana government. The Bushmen were forbidden from re-opening it, and many were forced to collect water from self-made sand depressions and melons. Survival believes the Bushmen were evicted from their land due to its rich diamond reserves. De Beers, one of the world’s largest diamond companies held the mining concession at Gope, a Bushman community for 25 years. However following the negative publicity from Survival’s campaign it sold its diamond deposit at Gope to Gem Diamonds in 2007. Gem Diamonds is now developing its mine within the Kalahari Reserve, whilst funding projects to re-instate and drill new boreholes. It financed Mothomelo’s revival, working in partnership with Vox United. Gem also announced its commitment to hand three new boreholes over to the Bushmen by the end of last month, but they remain unusable.